Now the Narita Express runs on a limited schedule to save power after it resumed operations in April. 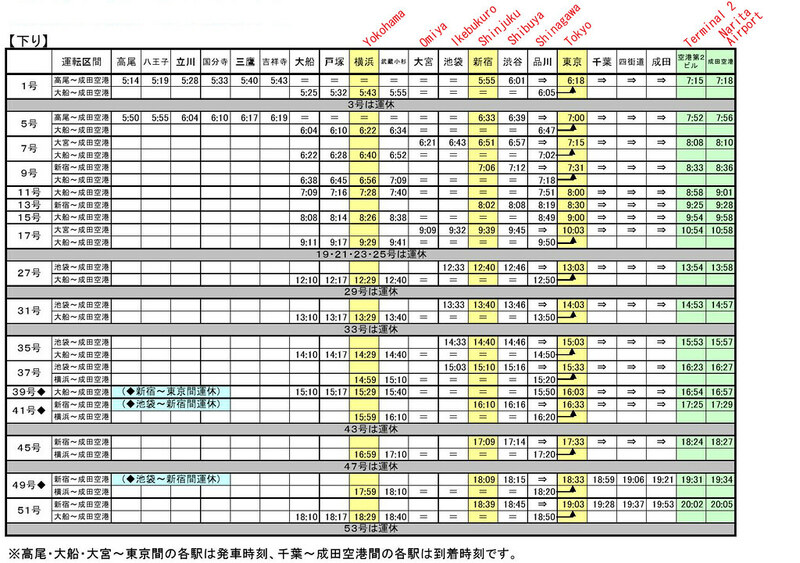 JR East provides the timetable only in Japanese, so I added major station names in alphabet as below. 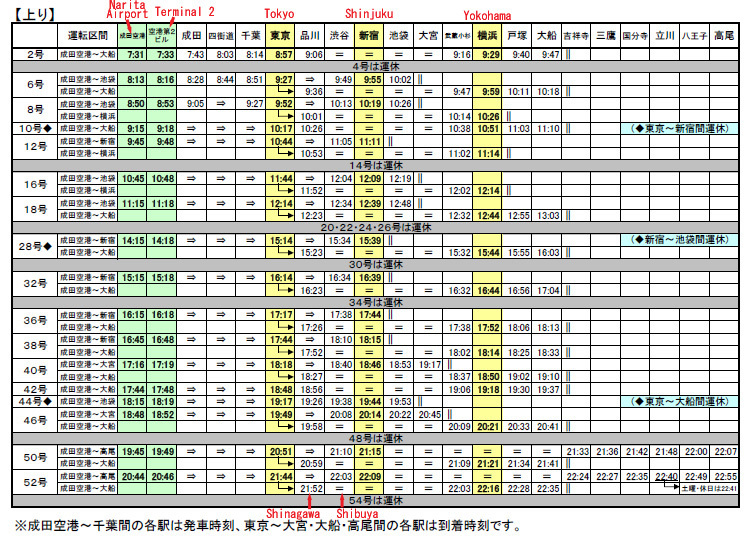 The timetable is as of 10th June 2011, and this will be effective for the time being. thanks for posting this!! very helpful. you wrote very well and simply make things simply understandable by the readers. thanks for penning blog articles.